Theremin World - What Becomes a Legend Most? -- The Theremin! What Becomes a Legend Most? -- The Theremin! 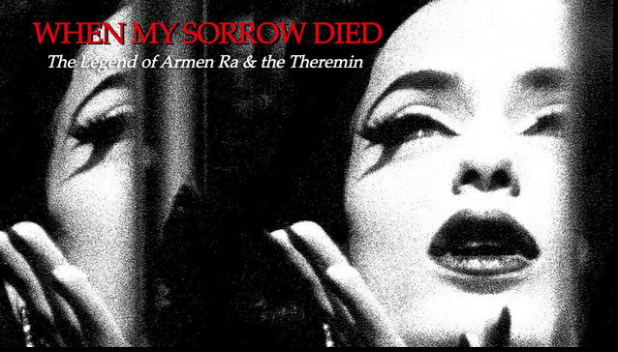 "WHEN MY SORROW DIED: The Legend of Armen Ra & the Theremin" tells the enticing story of one of our finest theremin players, and delves into the challenges, inspirations, and demons in Armen's journey to find his own path and, of course, the theremin. Funding is needed to complete the film and donations can be made on indiegogo.com. The video teaser is on Vimeo. Best of luck to Armen and the producers! Who would you cast in a feature film about the theremin? She saved the earth with three odd little words.